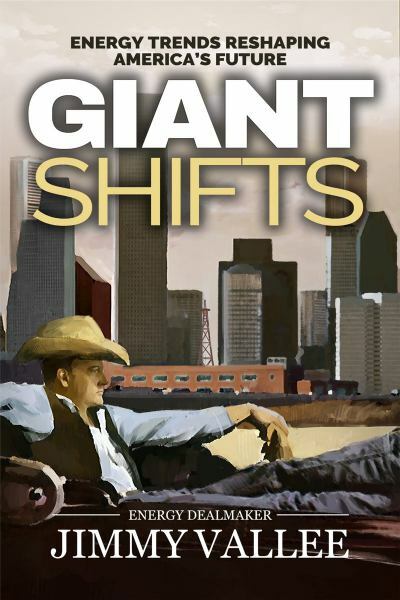 The title of your book, Giant Shifts suggests we’re headed for big energy-driven changes. What do you see for the oil and gas industry in the next decade? We’re already in the midst of significant and fundamental shifts in the oil and gas industry. We've recently completed one of the longest energy bull markets in a generation - the "shale revolution." Starting in 2000 and gaining momentum coming out of the 2008 financial crisis, the shale revolution brought dramatic growth to our industry and flooded the world with oil. Not that long ago, maybe 2007, most industry leaders believed that "peak oil," where global oil production was considered to have peaked, had already occurred and that we were in a period of diminishing oil and gas reserves. This turned out to be very wrong. Instead, global oil and gas reserves have swelled, the U.S. lifted a 40-year ban on exporting oil produced domestically and global oil supplies have significantly outpaced demand for the past 20-months leading to oil prices dropping over 70% from their 2014 highs. With all the activity, it's easy to forget that the shale revolution was really brought about by advances in technology. Notably, the arts of horizontal drilling and hydraulic fracturing were perfected making once inaccessible shale rock economically viable for oil and gas production. And, the more we did it the better we got at it. These advancements in technology and increasing efficiencies contributed to production levels remaining stable even as prices declined. And we're just scratching the surface. There are many other new technologies coming on-line that will fundamentally change the oil and gas industry. For example, steam injection technologies are being developed in Silicon Valley to make the sequencing of the process more efficient to increase production. Data analytics, IoT (Internet of things), nanobots, automation, drones . . . the list goes on. It's a quest to become ever more efficient in how we find oil and gas reserves, and then how we develop them. We've also experienced a significant shift in how capital flows into the industry. In the past, capital came from super majors, large independent oil companies and uniquely successful entrepreneurs – “wildcatters.” But recently, private equity has played an increasingly role in providing capital for industry. The result? A proliferation of energy-focused private equity and hedge funds all looking for energy sector deals. This increased capital, coupled with more easily accessible debt capital markets really propelled the shale revolution forward and led to a new era of financial engineering in the hydrocarbon-based energy business. How these changes will affect the industry over the course of the next decade will be fascinating to watch and profitable to join. Finally, we need to take a more long term view in the industry to serve our role as stewards of knowledge base to the next generation of talent. The challenge is in navigating the generational dynamics involved in our workforce, ensuring that the geological, engineering, health and safety, and legal regimes that underpin our business are transferred to the upcoming technology-driven generations. This challenge is exacerbated by the “great crew change” occurring in our business – a talent gap that existed for almost 15 years and how that’s impacting our business today. What evolutions in the past few years indicate big changes on the horizon? There have been quite a few signals. First, the commodity price fall has created strong incentives for producers and all energy-industry participants, to become more efficient. At $100/barrel oil, there is a great deal of inefficiency and redundancy that goes almost unnoticed. But, at $40/barrel oil, increasing efficiency in oil and gas production and development becomes sacrosanct. How do we drive efficiencies to be competitive and profitable at $20 oil, $10 oil? Technology and substituting tech advancements for human capital (which is far more expensive) is a potential solution. And "big oil" is leading the way. There are big R&D investments by the super majors to bring more efficiency in production and refining. Many of the super major oil companies now have venture capital investment divisions that are seeking out new technologies and making investments in the entrepreneurs that are developing them. Silicon Valley is also showing big interest in the "dirty old" oil and gas business. Tech entrepreneurs and VCs getting excited about the potential for using technologies that have become common place in business consulting and consumer products on the massive scale required in the oil and gas business. It’s exciting to see tech and oil converging - a real paradigm shift for the industry. Why did you write Giant Shifts? Well, I really enjoy thinking about the topic. I wanted to share a unique perspective from years of working with oil and gas, private equity and tech professionals and my personal experience of growing up in a family that was involved in the oil business dating back to the early 1900s – around the time that Spindletop was discovered in Beaumont. My children are Millennials, and I’ve witnessed firsthand how ubiquitous technology is in their lives. As Millennials matriculate into the industry, change seems to be occurring at a more accelerated pace. I wanted to put my arms around it, and share my thoughts with people that are interested in our business. What will be the effect on oil prices when the Silicon Valley-driven tech efficiencies you forecast are in place? The price of oil is affected by many things. Almost as much supply and demand, the price of oil is impacted by geopolitical factors – wars, terrorism, diplomatic policy and OPEC. To me, the question isn’t “what impact will the use of technology have on prices?” but “how will the use of technology make us more efficient and competitive in a constantly changing world?” Given the need to navigate the talent gap resulting from the “great crew change,” and the requirement that oil and gas development become profitable at whatever the current prevailing market prices may be from time to time, technology seems to be the only variable that we can control to assist in leveling the playing field. Following up on the geopolitical factors you referenced, how are the geopolitical dynamics of the oil industry changing in light of the shale revolution and continued growth in North American oil and gas production? Great question! We are seeing a fundamental shift in the effectiveness of OPEC and its ability to work in a concerted manner, as the United States continues to emerge as the world’s “swing producer” to stabilize world oil markets. Since the downturn in oil prices began in 2014, the OPEC nations have been unable to work together to stabilize world oil markets by curtailing their own production. Their stated reasoning has been to protect market share from emerging oil producers like the United States and Iran – now that sanctions on Iran are being lifted. However, by failing to stabilize prices, OPEC has begun to lose some of its relevance because the natural law of supply and demand is now working fairly effectively. What this means for the future is yet to be seen, but for now it appears that OPEC has failed in its ability to provide a floor under global oil prices – to provide a ceiling would not seem to be in their best interest after this extended period of low prices. Given the current North American surplus of oil and gas, can you explain how this makes now the opportune time to invest in research and development for oil and gas technology? Efficient, stable and low cost energy supplies could bring about many positive changes in our economy. Many jobs have moved overseas in the past as a result of the high costs of manufacturing and production in the United States. Energy supply is often the most significant variable cost in manufacturing and production operations. If we could dramatically reduce the costs of energy-related supplies, I believe North America could experience a renaissance in manufacturing and production and a “re-shoring” of thousands – maybe even millions – of American jobs. It is against this backdrop -- recognizing the overall benefits that efficient, stable and low cost energy supplies could bring to our American economy and its people -- that investments in oil and gas technology should be considered. Commodity prices are currently at a lower level than they have been since the late 1990s – not taking into account the temporary drop that occurred in connection with the 2008-09 banking crises. But failure to invest in R&D and technology to bridge the talent gap and assist with efficient development in the future may result in significantly higher prices than we’ve experienced when oil was at $100/barrel. It’s time to “eat our veggies” in the oil and gas business. If we do so, I believe we’ll be much better off in the long run. How do you see the shale landscape changing with Silicon Valley driven technologies and how soon do you predict these changes will start to evolve? The changes have already begun. I believe that the changes are coming about as a result of technology-driven entrepreneurs seeking out new, more significantly scalable markets for their technology. This movement is attracting venture capitalists to the industry that have not been that interested in our business in the past. As capital is being attracted to the oil and gas technology, they will need to find partners with oil and gas assets to “beta” these technologies and perfect them. In some cases, smaller oil and gas partners will become ideal partners. In other cases, these technologies will find their exits in sales to super major oil companies and the large oilfield service companies like Schlumberger, Halliburton, GE Oil & Gas and others. What could be considered game changers as far as the decisions made regarding the financing of oil and gas technology research and development? A few things come to mind as potential game changers. First, the addition of venture capital divisions at the super major oil companies – for example, BP and Royal Dutch Shell – could provide a catalyst for developing a venture capital industry that is focused on oil and gas, much like the robust tech venture capital industry that developed around Silicon Valley. The super majors are providing a breeding ground for oil and gas tech, much like Stanford, Hewlett Packard and others did for Silicon Valley. Educational institutions could start to provide programs for oil and gas tech. These programs would combine geological studies and petroleum engineering and operations with data analytics, robotics, remote monitoring and control technologies to foster an environment of creativity and innovation. But most important are the entrepreneurs – the business innovators and risk takers that create and implement new and better ways to do things. Creating the environment to make the oil and gas business exciting and an area that attracts top talent is also critical to the success of these educational, venture capital and business endeavors. That’s going to be the job of our industry and political leaders – the oil and gas industry has been demonized for far too long, in my opinion. Your book places an emphasis on generational dynamics in the future of the digital oil and gas business. Who are the major players and what are their roles in bringing these changes about? I believe that generational dynamics represent a significant undercurrent in the changes occurring in the oil and gas business. The transition from “top down,” military-style organization and management that is more common to civics and baby boomers to a “hub and spoke,” network-style organization that is being brought about by Millennials presents challenges in communication between the generations and in how their activities are implemented and their tasks completed. Rapid technological change is occurring simultaneously with these changing management styles. Technology is helping to equal to playing field of experience and providing instantaneous access to information that was not available to prior generations. Problems will be considered and approached differently than we’ve addressed them in the past. Layered into this more natural evolution of the generations is the fact that very few people matriculated into the oil and gas business during the period 1985 – 2000. This is roughly the same time period at which my generation – Generation X, which is about half the number of people that is in each of the baby boom generation and the Millennial generation – began to come into the workforce. I often think about the three generations as making the shape of an hour glass, with the baby boomers being at the top, Gen X in the very thin middle, and Millennials coming up at the bottom. How we transition what I believe to be the most important industry in the world economy – the development and supply of energy – through those three generations is a monumental challenge. One that few people are even aware of, much less actively thinking about how to solve. Oil and gas guys and Silicon Valley guys are from two different worlds that haven’t seen a lot of communication in the past. Are these two divergent worlds going to be able to interact and converge their ideas to bring oil and gas to new beginnings? You’ve really touched upon why I believe this book is so important. As the two worlds begin to converge, you’re going to need expertise that is capable of communicating effectively in both worlds. The “universal translators” for oil and gas, tech and venture capital. I believe this is the key role that my fellow Gen X’ers will play in the process. To act as stewards of the business as we take the keys from the baby boom generation and hand them off to the Millennials. We understand you are speaking in San Diego at the 2016 Annual Gathering of American Mensa in July. What do you feel our nation’s educational system should emphasize with younger generations so that they will be able to continue the development and technological evolution in oil and gas for years to come? The exciting thing for me is to be speaking to the world’s brightest about these challenges and providing some thoughts for how we might go about addressing them. What I would like to see is an entrepreneurial environment develop in Houston much like what has developed in Silicon Valley – where capital, education and business visionaries are all working together to bring about solutions to these big issues. To me, “nirvana” is a world were fossil fuels are embraced to supply the world’s energy needs and make lives better for billions of people, while simultaneously finding ways in which to reduce the impact of carbon on our environment. Unlike most people, I do not believe these two goals to be mutually exclusive. As has been the case for the entire history of the United States, technology and innovation are the keys to a better world. 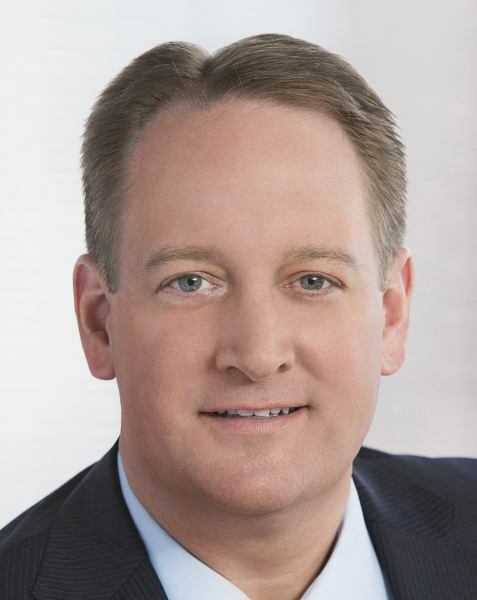 Jimmy Vallee quarterbacks one of America’s most successful oil & gas mergers and acquisitions legal teams as a shareholder at powerhouse law firm Paul Hastings llp. Jimmy’s East Texas oilfield upbringing gives him atypical perspective and stature as trusted C-Suite advisor to an A-list roster of global energy companies. Business media recently labeled him as “One of (Energy’s) most prolific dealmakers.” Vallee is the author of Giant Shifts: Energy Trends Affecting America’s Future.